We compile a book for a tradeshow that has a page with information on each of our vendors. In the past we have had to create each page entering in the vendor biography and logos. We wanted to see if we could submit our format to be filled out by our vendors via survey, that we could then download, print and create our vendor book. Please let me know if this is possible. Thank you! Depending on your specifications it might be done. 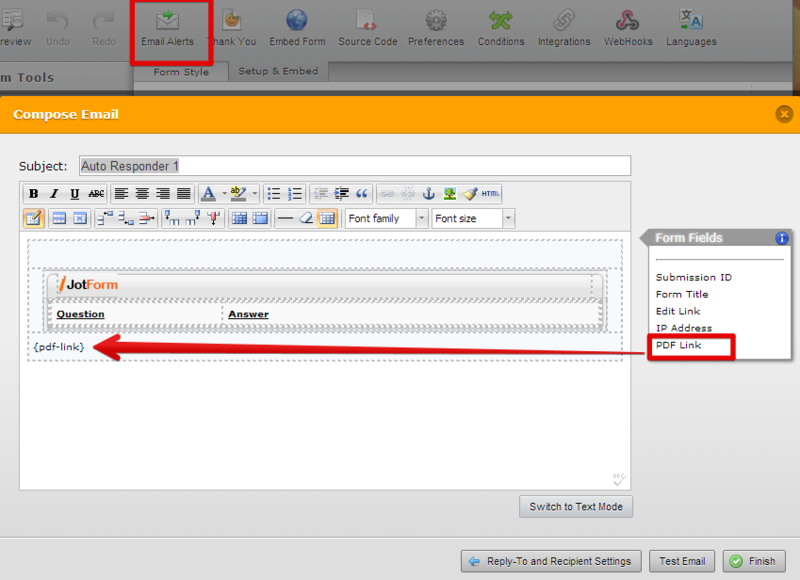 Jotform allows you to create a PDF version of the submitted form, but the format is not customizable. But if you provide us more details perhaps we can be of more assistance.